Open sensuality: roadster performance in its perfect form. At the Johannesburg International Motor Show (JIMS) 2011, the performance brand within Mercedes-Benz Cars is presenting a new dream-car: the SLS AMG Roadster. This super sports car thrills with a perfect synthesis of open-top driving enjoyment, outstanding driving dynamics and systematic lightweight construction. The overall visual appearance of the new two-seater is marked by its purist design. The technological highlights of the SLS AMG Roadster read like an A-B-C of modern sports car engineering: the combination of an aluminium space-frame body, an AMG 6.3-litre V8 front-mid engine with dry sump lubrication developing a peak output of 420 kW and 650 Nm of torque, a seven-speed dual clutch transmission in a transaxle arrangement and a sports suspension with aluminium double wishbones is guaranteed to make the hearts of sports car enthusiasts beat faster – while ensuring outstanding driving dynamics and roadster motoring pleasure. 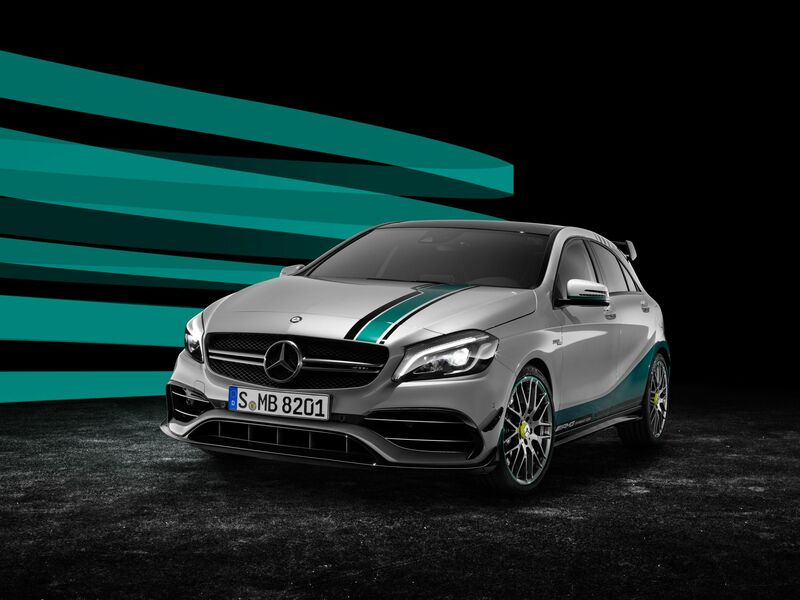 The new AMG RIDE CONTROL sports suspension with electronically controlled damping is available as an attractive optional extra. It enables the damping characteristics to be modified at the touch of a button. Using the AMG DRIVE UNIT, the driver of the SLS AMG Roadster is therefore able to choose his own suspension setup. Three modes are available: “Comfort”, “Sport” and “Sport plus”. 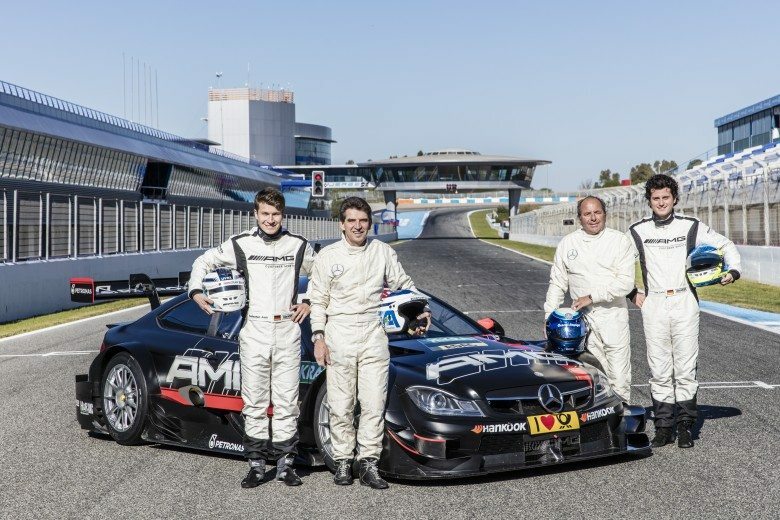 “AMG Performance Media” is a unique new feature: this innovative multimedia system inspired by motorsport offers an unrivalled combination of numerous telemetric displays such as lateral and linear acceleration, various engine data and lap times on a racetrack, and also features high-speed mobile internet access. “The SLS Roadster is a highly desirable super sports car and is quite distinctive. 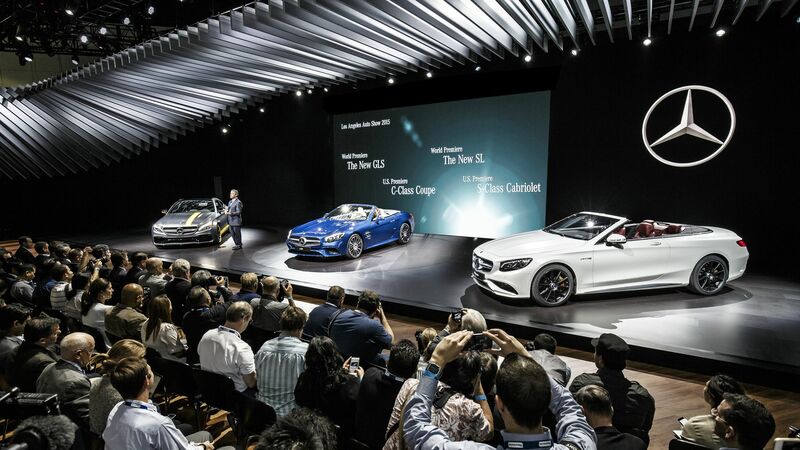 This dream car is set to continue the success of the iconic and exciting sports cars from Mercedes-Benz,” says Eckart Mayer, Vice President, Sales & Marketing, Mercedes-Benz South Africa. “Efficient lightweight construction, outstanding performance and a breathtaking design combined with sensuous open-air driving enjoyment – the new SLS AMG Roadster perfectly reconfirms the AMG philosophy of German engineering and craftsmanship. The SLS AMG gullwing model continues to thrill sports car fans, and now the open-top version is set to stir the emotions. Whether with the roof open or closed, visually the SLS AMG roadster is impressive,” adds Mayer. The perfect proportions are particularly memorable: a long bonnet, the greenhouse positioned well to the rear and a short rear end. Plus the automatically extending rear aerofoil, long wheelbase, wide track and short overhangs – in short, the open-top SLS AMG likewise exudes effortless dynamism and an authentic charisma. The pronounced shoulder sections are reminiscent of tensed muscles, and suggest sheer power in combination with the large wheels in size 265/35 ZR 19 (front) and 295/30 ZR 20 (rear). The attractive metallic paint finish AMG Sepang brown and weight-optimised forged wheels in a 10-spoke design, painted in matt black with a high-sheen rim flange, are available as new optional extras. The interior continues the breathtaking design idiom of the exterior, and awakens associations with an aircraft cockpit: prominent stylistic features include the dashboard in the shape of a wing section and the air vents with adjustable, cruciform nozzles reminiscent of jet engines. The extended centre console of matt, solid metal and the new E-SELECT lever in the shape of an aircraft’s thrust control are also design features adopted from the world of aviation. 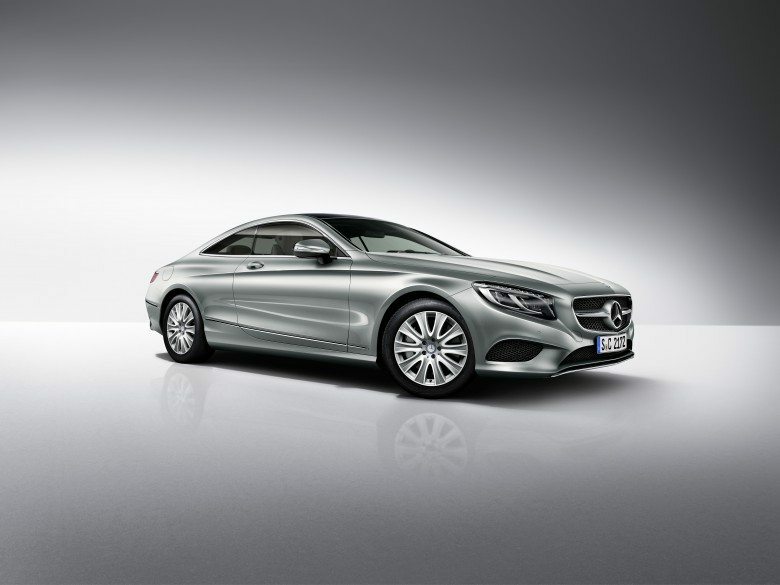 Another discreet, fine detail is the embossed AMG emblem on the leather-lined selector lever. The AMG DRIVE UNIT – which like numerous other interior features is available in real carbon-fibre – is the central control unit in the centre console: it allows the driver to choose a personal vehicle setup, including adjustment of the AMG RIDE CONTROL sports suspension (optional). The AMG Performance steering wheel with its high-grade nappa leather lining and flattened lower rim section allows perfect vehicle control. The shift paddles and lower steering wheel bezel are of solid metal. The aluminium spaceframe provides the basis for outstanding passive safety. The extensive safety features include the fixed roll-over protection system, three-point seat belts with belt tensioners and belt force limiters, and eight airbags: adaptive front airbags and kneebags, two seat-integrated sidebags and two windowbags deploying from the door beltlines. The optionally available Blind Spot Assist helps the driver with a visual warning symbol and acoustic alert if the danger of a collision with another vehicle is detected when changing lanes. Despite its uncompromisingly sporty character, very ambitious fuel consumption targets have been met. The SLS AMG consumes 13.2 litres per 100 kilometres (NEDC combined), corresponding to CO2 emissions of 308 grams per kilometre. Efficiency-enhancing measures include the familiar AMG-exclusive, friction-optimised twin-wire arc-sprayed coating on the cylinder walls as well as the on-demand, map-optimised oil supply and intelligent generator management: during the engine’s overrun phases, kinetic energy is used to charge the battery rather than being wasted by simply generating heat. Conversely, the generator is switched to no-load operation during acceleration, thus reducing the load on the engine. Sophisticated catalytic converter technology enables current and future emission standards such as Euro-5, LEV 2 and ULEV to be met. The SLS AMG Roadster was designed and developed in parallel with the Coupé under the autonomous aegis of Mercedes-AMG GmbH. 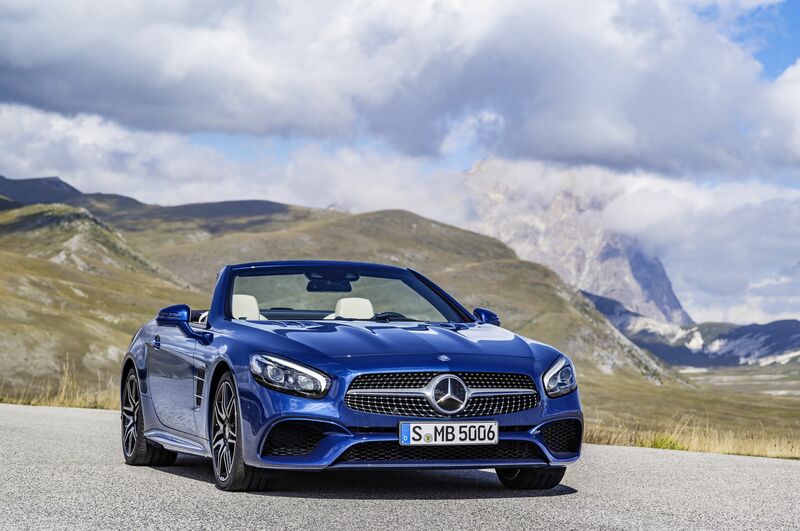 The open-top super sports car will be produced at the largest Mercedes-Benz production plant in Sindelfingen. The AMG 6.3-litre V8 engine comes directly from the AMG engine workshop in Affalterbach, where it is hand-assembled according to the traditional “One man, one engine” philosophy.